Majority of solar panels in the market came with a 25 year performance warranty. This is generally made up of a guaranteed electrical production of 90% for 10 years and rated power output of 80% for 25 years. This means, if your solar panels have fallen below 90% in the first 10 years you are entitled to claim on the solar panel manufacturers warranty for replacement of your solar panels. Submit the results to the manufacture, or have someone do this for you – like us! As we are in early days of Solar, the life span after the warranty expiries has yet to be proven. Odds are that the solar panels will keep generating a significant amount of electricity. 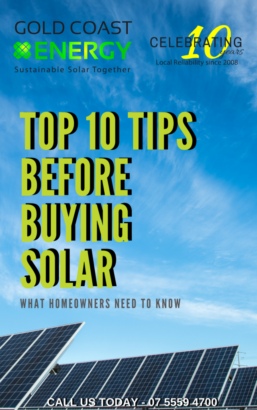 Whether you upgrade to the latest technology in solar panels in the future will be a decision made on savings.